Officials are intent on making the Defense Department, the titanic of all the federal departments, agile and swift in the sea of acquisition to secure the world of cyberspace. Defense officials laid out how they plan to change DOD to match the dynamism of the private sector and the power of emerging technologies when it comes to operating in cyberspace. 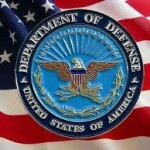 “DOD’s cyberspace acquisition programs will reflect the adaptive nature of cyberspace,” officials wrote in the Department of Defense Strategy for Operating in Cyberspace report released on July 14. Read the report. Officials recognized speed as a priority if they want to keep up with how quickly the technological world revolutionizes itself. Acquisition processes and regulations need to match the developmental life cycle, the report said. “With information technology, this means cycles of 12 to 36 months, not seven or eight years,” the report states. Last December, Federal CIO Vivek Kundra and others at the Office of Management and Budget brought attention to the deliberate federal procurement system and the years-long budget process. They too pointed out the same hindrances in the procurement process that DOD wants to transform. “The lag between when the government defines its requirements and when the contractor begins to deliver is enough time for the technology to fundamentally change,” according to OMB’s 25-point implementation plan on federal IT reforms. Secondly, defense officials wrote they have to work in stages to develop systems and technologies. They need to move away from deploying a large, complex system at one time. Defense agencies may have to forsake one-of-a-kind systems, at least in the beginning, so they can buy technology more speedily. “DOD will be willing to sacrifice,” officials wrote in the strategy report. Officials also said all systems and programs do not need the same level of oversight; agencies need to decide on the level of oversight based on the priority of critical systems. Finally, defense officials want to create tighter security measures when the department buys software and hardware, as well as any system DOD buys. “No back door can be left open to infiltration; no test module can be left active,” the report stated. Travis Wheeler works in marketing at Technical Communities, the leading GSA sales and marketing partner for technology companies.